Chairman and CEO, ASHER, Inc.
From 1985-to-1996, Mr. Asher was Chairman, CEO and a co-founder of Global Associates, Ltd. (Global), an advanced technology company specializing in the design and manufacturing of electronic systems and components. He and his partners grew Global at a compounded rate of 40% per year for 11 straight years, and then sold the company. During Mr. Asher's tenure, the company grew from startup to 50 million in annual revenues. Before co-founding Global, Mr. Asher completed a 21-year military career during which time he commanded two nuclear submarines and spent five years in the Pentagon as a senior government buyer. Currently, Mr. Asher is also chairman & co-founder of US China Business Solutions, Inc., an organization that helps US companies create strategic alliances with Chinese companies including sourcing services for U.S. manufacturers. Areas of specialization in China include automotive parts, tool and die, metal parts and apparel. Mr. Asher is also a co-founder, investor and/or director of several recent start-up firms including Axonom, Inc., Simulyze, Inc., Marix Technologies, Inc., Pivotal Insight, Inc., and Capstone Corporation, Inc..
Mr. Asher has a Master of Science degree in administration from George Washington University and is a graduate of the U.S. Naval Academy where he earned degrees in nuclear engineering and mathematics. He has served on the George Washington University Business School Advisory Board since 1999. Mr. Asher resides in Washington, DC. 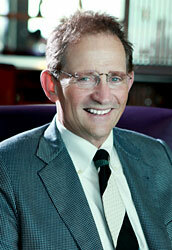 Mr. Asher is co-author of the book "Best Practices for Doing Business in the West" published in China in 2008.